William Morrow Fechteler was born on 6 March 1896 in San Rafael, CA. Fechteler graduated from the U.S. Naval Academy with the class of 1916 and served in the battleship USS Pennsylvania (BB-38) during World War I. Over the following two decades, Fechteler had a variety of seagoing and shore billets, including several staff positions and command of the destroyer USS Perry (DD-340). In 1942-43, Captain Fechteler served in the Bureau of Navigation (later Bureau of Naval Personnel), then commanded the battleship USS Indiana (BB-58) in the Pacific. Promoted to the rank of Rear Admiral in early 1944, he was Commander of the Seventh Fleet's Amphibious Group 8 from August 1944 to March 1945, and participated in landings at Morotai, Leyte, Lingayen and elsewhere in the Philippines. He spent the remainder of 1945 as Assistant Chief of Naval Personnel, in Washington, DC, followed by service as Commander, Battleships & Cruisers, Atlantic Fleet. As a Vice Admiral, he was Deputy Chief of Naval Operations, Personnel, from February 1947 until January 1950. 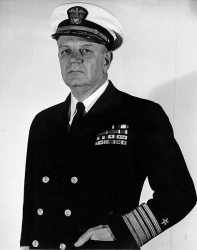 On 1 February 1950, Fechteler was promoted to the four-star rank of Admiral and assigned as Commander-in-Chief Atlantic Command (CINCLANT) and Commander-in-Chief, U.S. Atlantic Fleet (CINCLANTFLT), where he served until August 1951. In August 1951, Admiral Fechteler was appointed Chief of Naval Operations, succeeding Admiral Forrest P. Sherman, who died in office in July. As CNO, Fechteler was responsible for sustaining Korean War-era naval activities in the Far East and in the European area. He made two trips across the Atlantic in 1951-52 and one to Asia. He continued the Navy's building program for new aircraft carriers in the face of economy moves and to expand pay and benefits for the Navy's people. When President Dwight D. Eisenhower took office in 1953, he chose to replace all the Armed Forces' Chiefs. In August 1953, Admiral Fechteler exchanged positions with the new CNO, Admiral Robert B. Carney, becoming Commander-in-Chief, Allied Forces Southern Europe (CINCSOUTH). 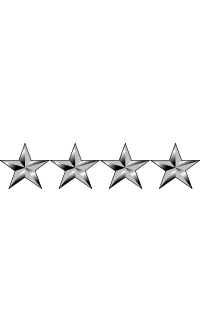 He served at that command's Naples headquarters until July 1956, when he retired. 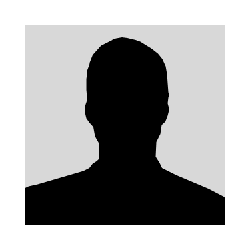 Over the next several years, Fechteler served on a special Defense Department study committee on personnel compensation and worked for the General Electric Company. Although there are two ships named USS Fechteler, (DE-157) and (DD-870), both were named in honor of his father, Rear Admiral Augustus F. Fechteler. Fechteler married a widow, Goldye Stevens Dobson, of Washington, DC, on 24 May 1928. Children: Rodney H. Dobson (stepson) and Joan Stevens Fechteler. Admiral William Morrow Fechteler died on 4 July 1967 in Bethesda Naval Hospital, Bethesda, MD. He is buried at Arlington National Cemetery in Arlington, VA.